Amazon has now launched its video streaming service, Amazon Prime Video, globally, just weeks after the streaming service opened access to some of its content to Australia. The launch has seen the video platform – which boasts series such as The Grand Tour, Transparent, Bosch and Mozart in the Jungle – become available in more than 200 countries and territories around the world. Customers in new Prime Video territories can sign up to the service at an introductory price of US$2.99 (AU$4.05) for the first six months, starting with a free seven-day trial, with the price then increasing to the full US$5.99 (AU$8.10). 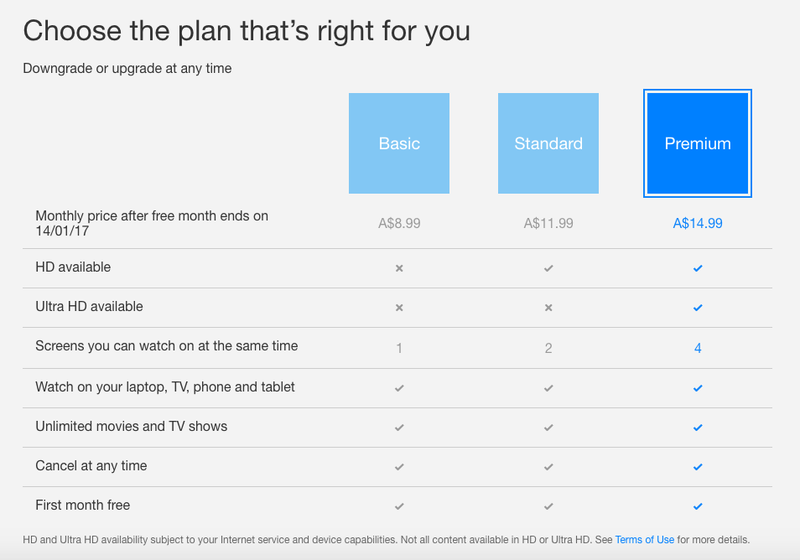 This puts Prime Video at a slightly cheaper price-point than rival Netflix, which has plans starting from $8.99, and Fairfax Media and Nine Entertainment Co.,’s Stan which has a price-point of $10. Tim Leslie, Prime Video vice president – international, said: “We are excited to announce that, starting today, fans around the world have access to Prime Video. Amazon Prime Video offers users content in English with French, Italian, Portuguese and Spanish subtitles and dubbed versions for many titles. Members can watch content anytime, anywhere, through the Amazon Prime Video app on Android or iOS phones and tablets, Fire Tablets and on LG and Samsung Smart TVs online at PrimeVideo.com. Members are also able to download all movies and TV shows for offline viewing. The app allows members to control how much data they use when streaming and downloading by choosing between good, better and best visual quality settings. Amazon Prime Video’s automated and machine learning systems will also select the best streaming configurations for a given customer based on their device, location and Internet Service Provider, providing better visual quality and fewer interruptions – even when internet connection speeds are slow or highly variable. In November Amazon denied it had launched its Amazon Prime service in Australia after it was revealed Australians could access some of its content. 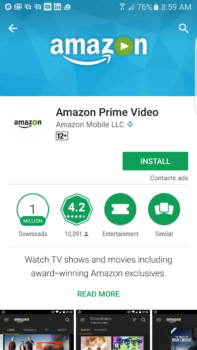 Users downloading the Amazon Prime Video app from the Google Play store will be intrigued to note the warning the app includes ads; however, it is not clear if this is a generic message from Google Play. While Stan owns the local rights to Amazon’s Mozart in the Jungle and Transparent, users of Amazon Prime Video can access the first two seasons of both shows. Amazon Prime Video does differ to Amazon’s Amazon Prime service, which is not available in Australia and offers members exclusive access to movies and TV shows, ad-free music, Kindle books, original audio series and unlimited photo storage. In markets where Amazon Prime is available – Belgium, Canada, France, India, Italy and Spain – Amazon Prime Video is available at no additional cost. Finally. Now we don’t need Stan who white label Amazon Prime. Why should I buy? I already have Netflix. You need to show me the light Amazon. However, not available on many LG ‘smart’ TV’s… and Xbox 360 is still to have the app released in Australia (and Canada for that matter).